Folding screens in metal and glass are excellent as a room divider. 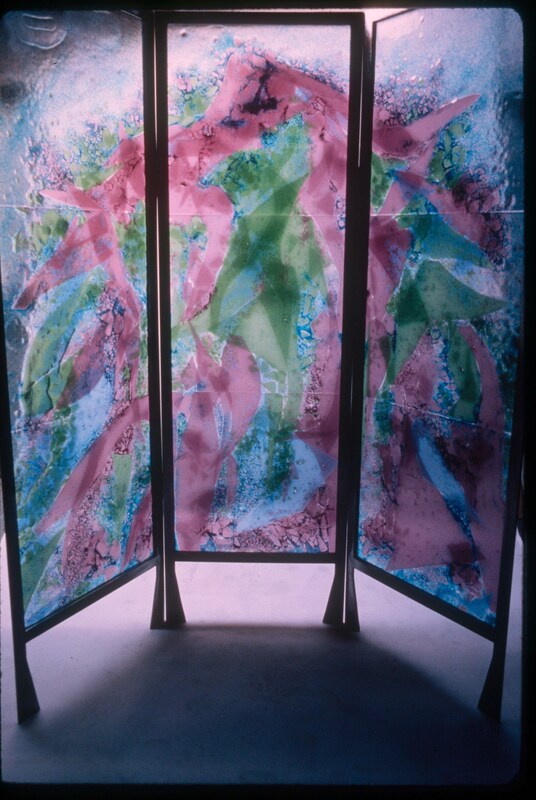 This screen is fused stained glass laminated on edge in a laquered steel frame. 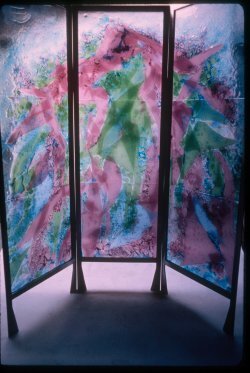 Measure 66" x 66" x 1"
Click to view examples of Folding Screen Glass. All artwork and text is copyright © Barney Zeitz, all rights reserved.